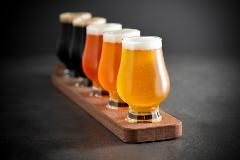 A beer tasting experience that will invigorate your senses. Featuring hop-heavy, warming and full-bodied craft beers from the bold Fox Hat Brewing range: Lusty Lager, Metric IPA, Red Pelt, Phat Mongrel and Full Mongrel. 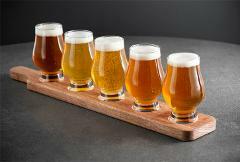 Discover the easy-drinking and true-to-style craft beers by Vale Brewing. Featuring refreshing ales and sessionable lagers: Vale Mid Coast, Vale Ale, Vale Lager, Vale Knee Slapper and Vale IPA.